Having the resource territories so quickly won and lost makes for a very high turnover of ownership. This not only works to prevent established, powerful guilds from holding on to a resource territory for too long – it also makes it easier for younger or smaller guilds to make their way onto the GvG ladder, by offering them a chance to fight well, snap up a resource territory and make use of the additional resources to boost their progress. For newcomers to Albion Online, here’s a quick run-down of guild territories as they are now. Some regions in the world of Albion are specifically built for guilds. They contain a number of guild territories within them, which guilds attempt to conquer and claim. When a guild claims a territory, they have that land to themselves, and are protected inside it by a magical field. In their territories they can build productive buildings to support their guild such as weapon crafting stations, refineries for harvested resources, and player & guild housing, to name a few. Opposing guilds can fight amongst each other by attacking territories, and a guild has three chances to overthrow another guild’s claim to a territory. If they win three conquer battles, they take over the territory and become its new owners. This will still be the case, but now there will be additional territory types which will provide a heavy advantage to the reigning guild, but might be more vulnerable to seizure by other guilds. New icons on the world map indicate to the players new territory types, including mines, farmsteads, forests and treasure coves. Note the giant skull icons, indicating raidable dungeons, in the distance. Each type brings the guild different benefits, explained below. Resource territories, as you might well glean from their name, allow their owners potential to harvest and produce more resources than they otherwise might in normal guild territories. Each type of resource territory brings a distinct set of benefits to the reigning guild. Farmstead territories offer an increased amount of arable land, allowing guilds to create more productive farms to generate produce which can be use to create consumables. See the earlier blog on farming for more information on the benefits of running a farm in Albion Online. Forest territories offer an increased amount of higher-tier Wood, Hide and Fibre nodes, giving guilds an edge in gathering these types of resources. These will help a guild create better buildings and armour. Mine territories contain several high-tier resource nodes of Stone, Ore and Gems. These resources help a guild craft better buildings and weapons. Treasure Cove-type territories are made for guilds with silver on the brain – populated with your own private herd of mobs to kill, a treasure cove can be a great asset in terms of silver generation potential. This is certainly one many guilds will fight over! Albion-Online 2015-01-09 17-53-07-16Sparkly things! High quality resources, such as those found in this Mine territory, are distinguishable by the magical effects surrounding them. The new resource territories will add a new dynamic to the guild vs guild gameplay in Albion Online, having distinct differences from normal guild territories. While the territories work and function fairly similarly – that is, as protected shelter for a guild to develop and look to expanding safely, the resource territories, for instance, will only have one Defender Point to a normal territory’s three. 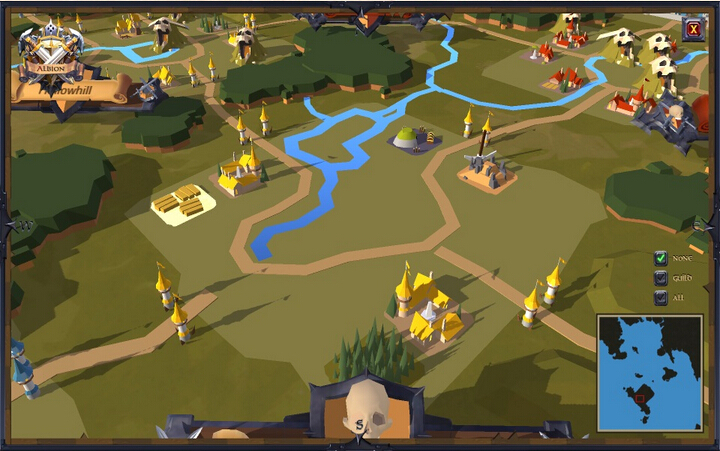 This means that if a guild owns a resource territory, and an opposing guild sieges to conquer it, the guild originally owning the territory can potentially lose their claim to just one unsuccessful conquer battle. Next: What is Albion Online Gold?